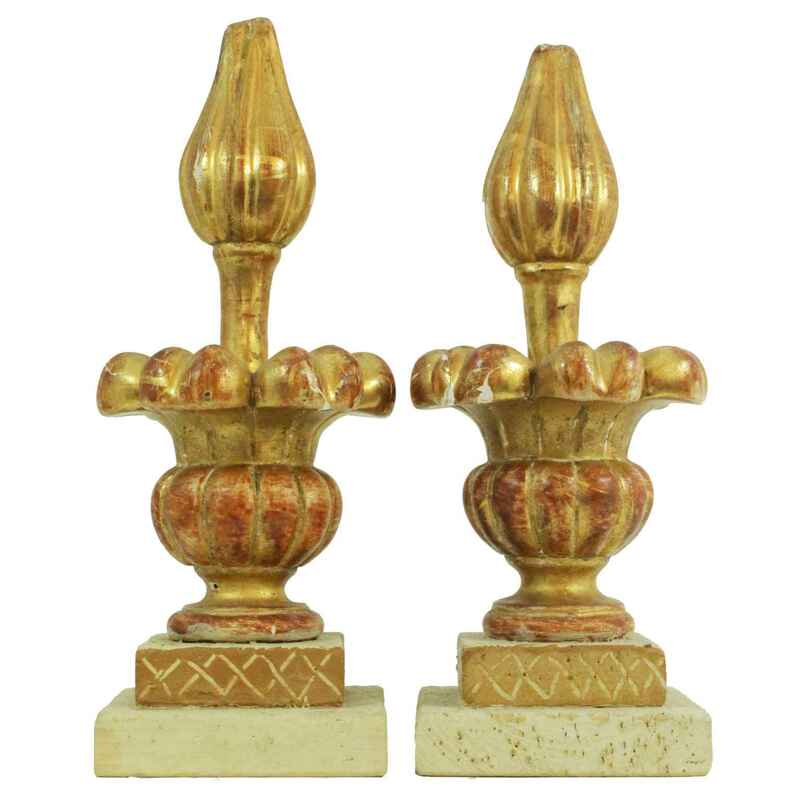 A pair of carved wood finials, fire gilt over gesso, mounted on graduating square plinths. A pair of carved wood finials, fire gilt over gesso, mounted on graduating square plinths. CONDITION: Very good antique condition. Desirable wear and minor losses consistent with age and use.